High-Resolution Imaging - Infrasense Inc.
High-resolution visual data is collected using a DSLR camera capable of recording 4K video. The camera captures a full lane width of data per driving pass, can record 4K video at 30 frames per second or high-definition 1080p video at 60 frames per second, and can be triggered synchronously with an infrared camera. All data collection is carried out at normal driving speeds, and no closures are required. 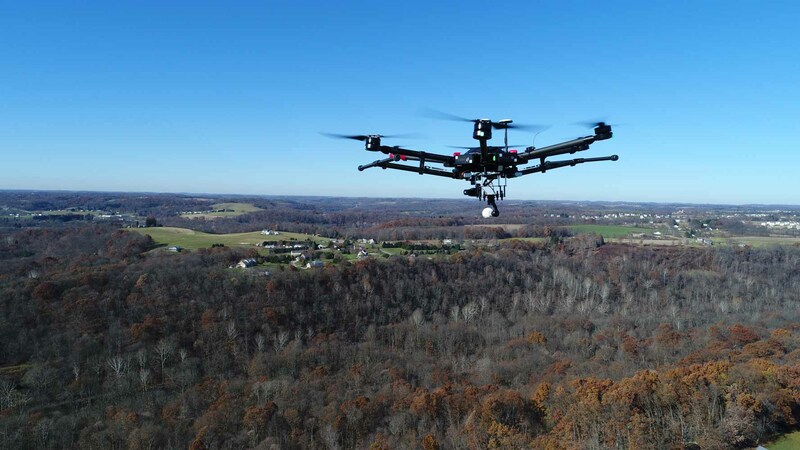 In some cases, high-resolution visual data can also be collected using fixed-wing aircraft or Unmanned Aerial Vehicles (UAV), such as drones. High resolution visual composite images are created for each deck using Infrasense’s proprietary software, which also applies a perspective correction to produce scale plan-view images and can apply enhancements to images that address inconsistent or inadequate lighting. The scale plan-view images can be analyzed and mapped for patching, spalling, and cracking areas for concrete pavements and bridge decks. These areas of distress are outlined and then quantified and used to create final plan area maps. The visual data is also used to identify surface features such as staining or debris that may appear in infrared data but are unrelated to bridge deck conditions.